WE LEFT Salvator Mundi with the right number of thumbs and a mixed royal provenance. We ain’t heard nothin’ yet. Here in Part 2 are a Russian oligarch, a Saudi prince, a Louvre where you wouldn’t expect one—and guess where’s Salvator Mundi? Primary sources for all this include The New York Times, artnews.com, and artwatch.org.uk. The Russian Connection. Needless to say these days, there’s a Russian oligarch. 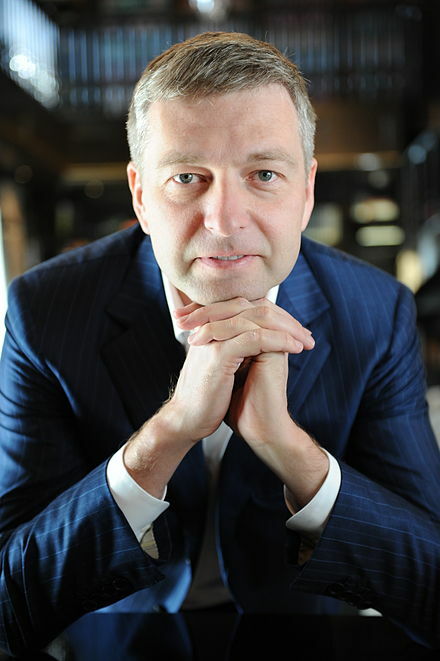 Dmitry Yevgenyevich Rybolovlev, Soviet Union-born 1966, Russian businessman and investor. In 2011, he became president of AS Monaco, the Principality’s football club. In October 2018, he was ranked 242nd on Forbes list of billionaires. The Leonardo attribution encouraged Dmitry Ryboloblev to buy Salvator Mundi in 2013 for $127.5 million. The seller was a Swiss art businessman Yves Bouvier, who had previously bought it for $80 million. Four years later, Rybolobllev flipped it for $450.3 million. This is one reason why Ryboloblev is an oligarch and I am not. Enter MbS. Salvator Mundi became the most expensive work ever sold at auction. Its purchaser was an anonymous bidder who turned out to be Prince Bader bin Abdullah bin Mohammed bin Farhan al-Saud, a close friend and possible stand-in for Saudi Arabia’s Crown Prince Mohammed bin Salman, aka MbS. A few months after the auction, Prince Bader was named the kingdom’s first minister of culture. This is when Frenchmen pull down a lower eyelid. 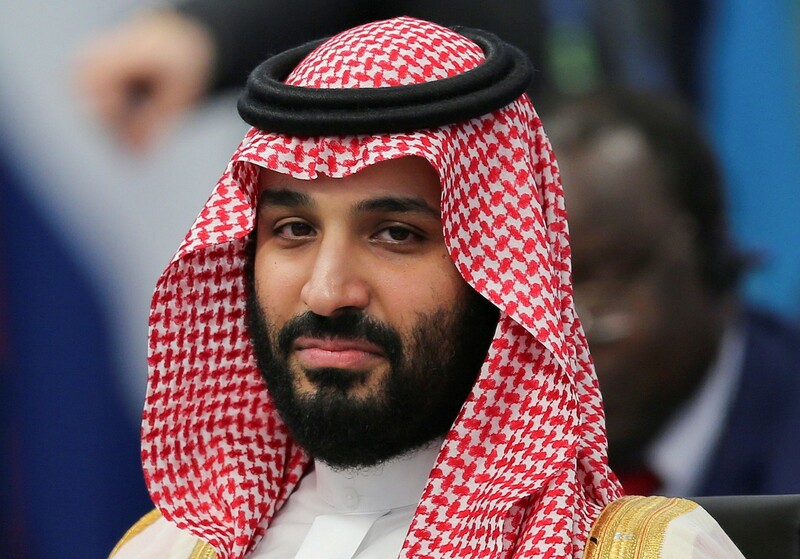 Mohammed bin Salman bin Abdulaziz Al Saud, Riyadh-born 1985, Crown Prince of Saudi Arabia. Officially, MbS is the deputy prime minister of Saudi Arabia; the prime minister is his father, the king. MbS is known for granting Saudi women the right to drive. And, according to U.S. intelligence, he is also implicated in the assassination and dismemberment of Jamal Khashoggi. 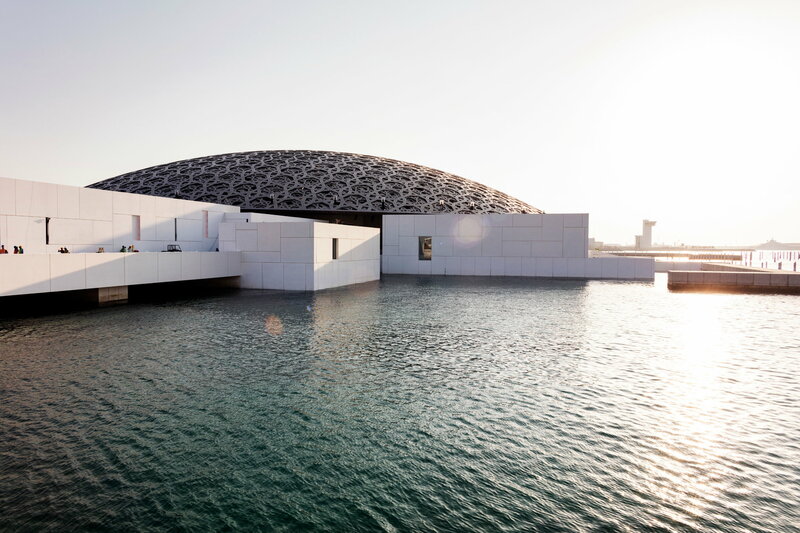 The Louvre Abu Dhabi. You probably thought the Louvre was in Paris, and, indeed, it is. But oil money talks, and the United Arab Emirates city of Abu Dhabi has a French Parliament-approved Louvre too. It’s the largest art museum on the Arabian Peninsula, with a Zayed National Museum and a Guggenheim Museum among others planned for the site. Louvre Abu Dhabi. Image by Katarina Premfors for The New York Times, March 30, 2019. About a month after the November 2017 auction, the Louvre Abu Dhabi announced a scheduled unveiling of Salvator Mundi for September 2018. The event was cancelled without explanation. 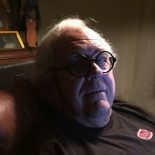 This entry was posted on April 7, 2019 by simanaitissays in The Game is Afoot and tagged "No Sign of Painting After Its $450 Million Sale" David D. Kirkpatrick NYT, "Salvator Mundi" = "Savior of the World" Leonardo da Vinci, Crown Prince Mohammed bin Salman = MbS, Dmitry Ryboloblev Russian oligarch, Prince Bader bin Abdullah bin Mohammed bin Farhan al-Saud = pal of MbS, Professor Dianne Modestini NYU Institute of Fine Arts.